An excellent article on Skywedge.com outlines how to spot some of the most common Kijiji scams. Person of interest is not local. Person of interest doesn’t do phonecalls either. If you find an item on Kijiji that is priced unbelievably low, it might be a sign of a scammer. Don’t trust anyone who wants to buy something like vehicle or a laptop from you without seeing it first. An overly detailed story is usually a sign of a scammer. Scammers want things done quickly. Stay away from any replies or ads mentioning the country Nigeria. Anyone who requests any personal information from you and insists that it is necessary in order to complete the transaction. 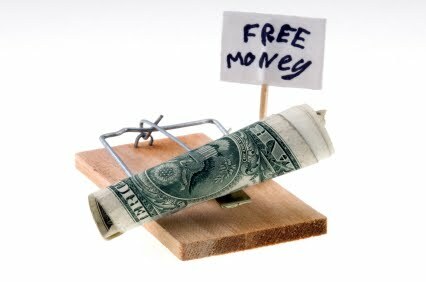 A major red flag is when somebody requires money up front in order to complete the transaction. Anyone who mentions using the Ebay Vehicle Purchase Protection Program is usually trying to scam you. Read the whole article to learn more details about avoiding Kijiji scams. And for even more, check the extensive scamproofing articles at the Kijiji Help Desk. Don't pay the stupid tax. Learn first. Buyer contacted me today on kijiji. Texted my phone saying they want to pay $700 more than my asking price for my dirt bike. But they wouldn't be able to be there so they would have to send they're pick-up agent to pick up the bike after the transaction is done. im from Canada, hes from U.S. and insisted the only way of payment is pay pal.